During the late 1970s and early 1980s the majority of home microcomputers ran on one of two processors: the MOS Technologies 6502 or the Zilog Z80 which was officially launched forty years ago this month. 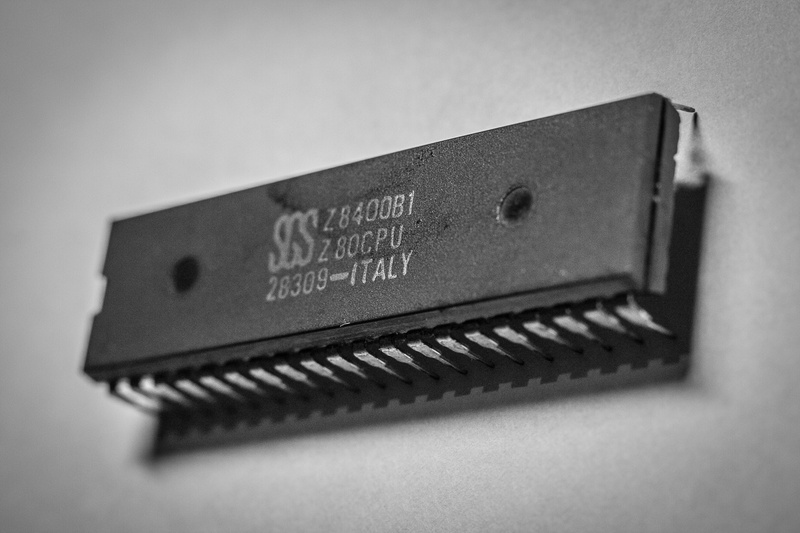 A relatively sophisticated 8-bit processor, the Z80 found its way into a variety of computer systems such as the Sinclair ZX80 / ZX81 and Spectrum, Amstrad CPC and PCW range, Tandy/Radio Shack TRS-80 plus a variety of less-known systems. In business it found its way into a very wide variety of CP/M systems including the Osborne 1 and Kaypro II. It also found itself into embedded systems, calculators, musical instruments and communications systems. In some ways the versatility of the Z80 predated today's ARM cores, with Z80s popping up all over the place. What may surprise you is that even after 40 years of production, you can still buy new Z80s (part numbers Z84C0008PEG or Z84C0010PEG) for about €3.50, in the original 40-pin configuration. Not bad going for a simple 8-bit CPU.